Gluten-free meze-inspired crumpets for a lazy meze morning! Fancy a meze-inspired, flavour-packed brunch that’s high on taste yet free from gluten? You’re going to love this! Did you know you can get gluten-free crumpets now? Great if you suffer from coeliac disease, have a gluten sensitivity or are simply choosing a gluten-free diet. 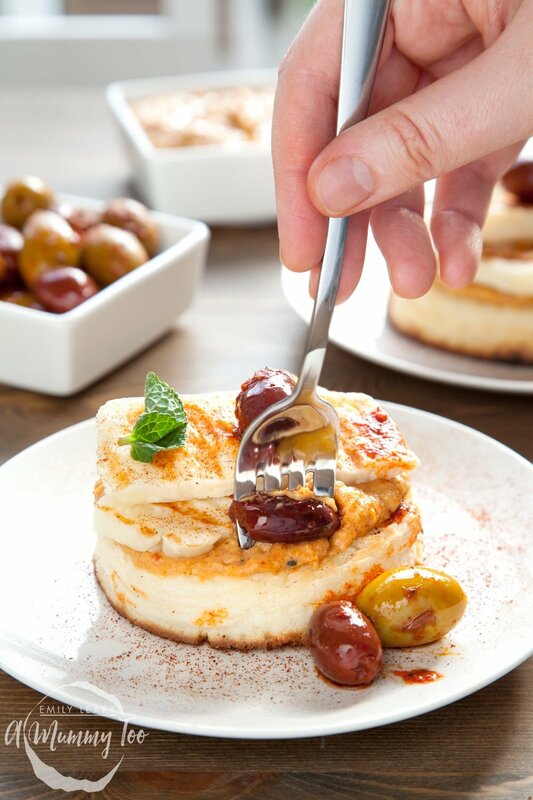 Now, how does a morning filled with crumpets, roasted vegetable and manuka honey humous, halloumi with mint, and harrisa coated olives sound? To me it sounds like the perfect morning pick me up: fun, filling and so, so tasty. 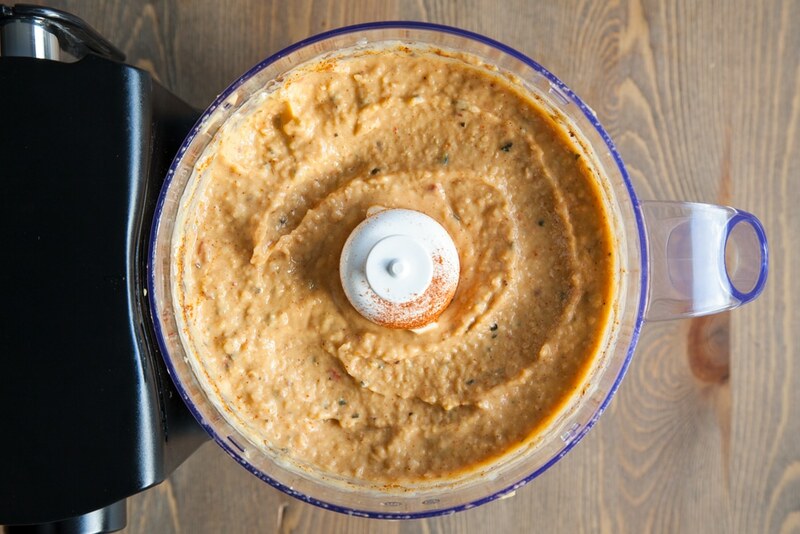 You can even make the hummus ahead of time and store it in the fridge for 3-4 days, meaning you could have a phenomenal brunch in around five minutes! 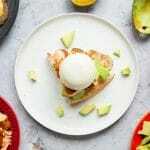 Here’s the recipe if you want to treat yourself to a delicious start to the day. Preheat the oven to 180C/355F fan (200C/390F). 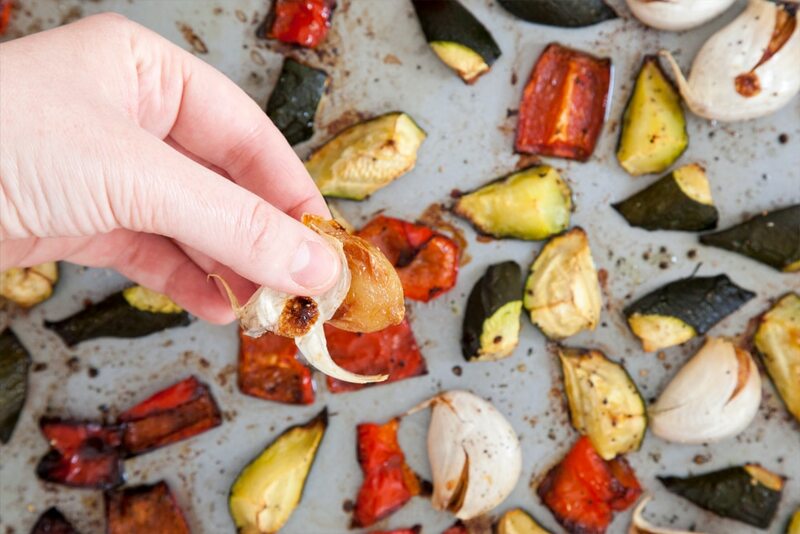 Roughly chop the courgette and pepper into 1 inch pieces, crush the cloves a little while still in their skins then put it all a roasting dish with the sea salt and 2 tbsp olive oil. 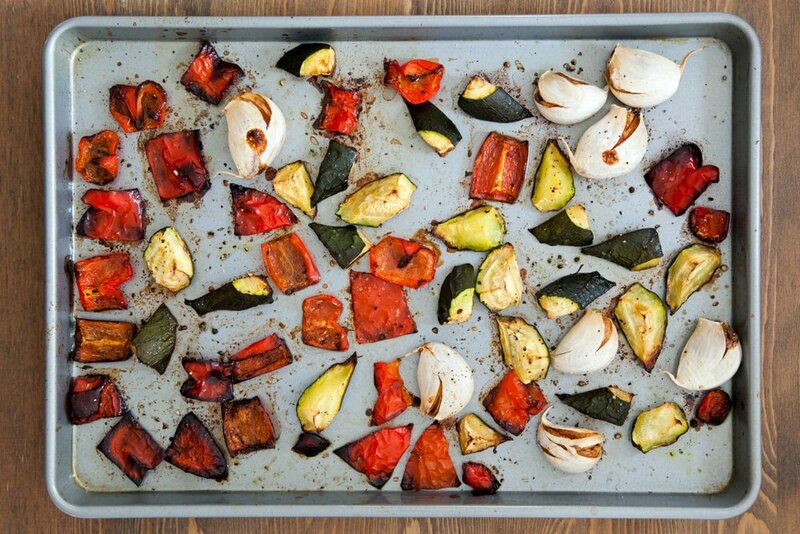 Roast the vegetables for about 45 minutes, until they are just starting to blacken at the edges. 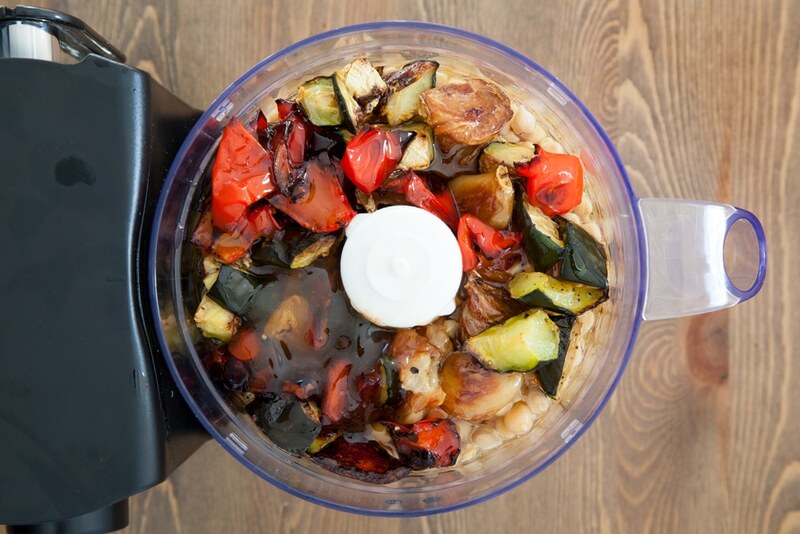 Tip them into a food processor, along with the chickpeas, the rest of the vegetables and the oil they cooked in, the additional olive oil, manuka honey, chickpeas and lemon juice. 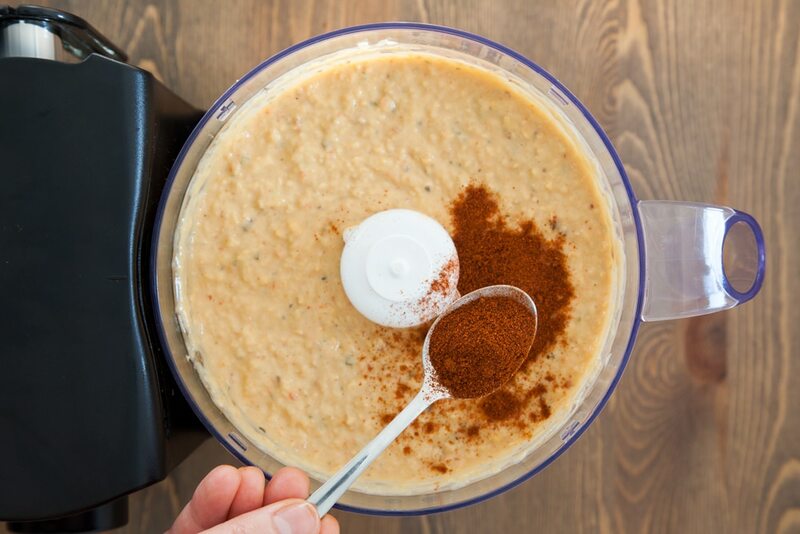 Blitz until smooth, then add 1 tsp paprika. 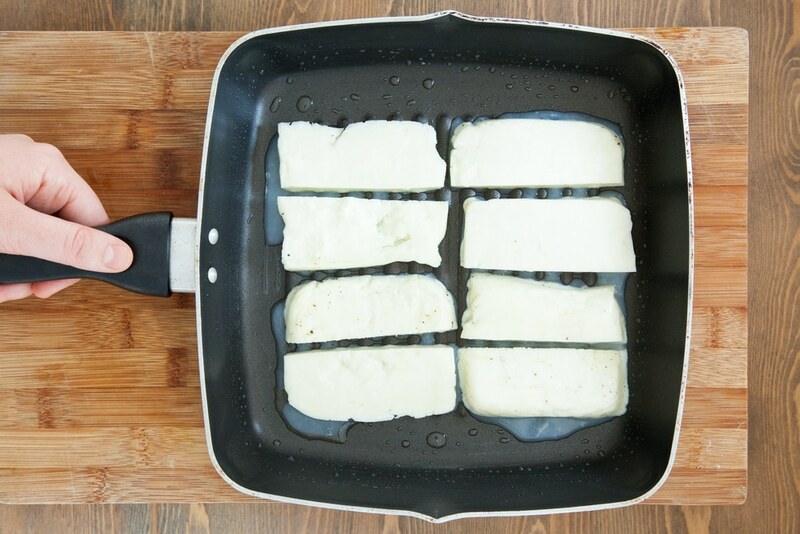 Cut in half widthways, then turn them on to their side, cutting each piece into four to give eight slices. Griddle on both sides until golden char lines appear. 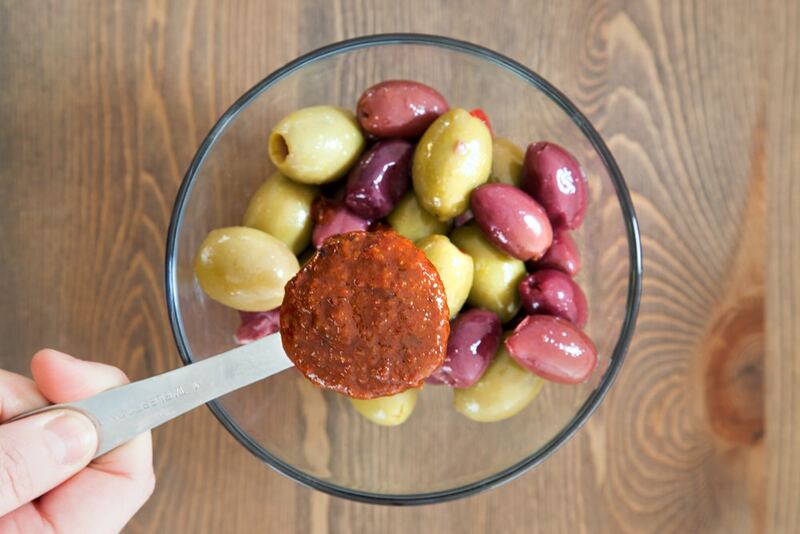 Put the olives into a bowl. Toast the crumpets according to the pack instructions then place on a serving plate. 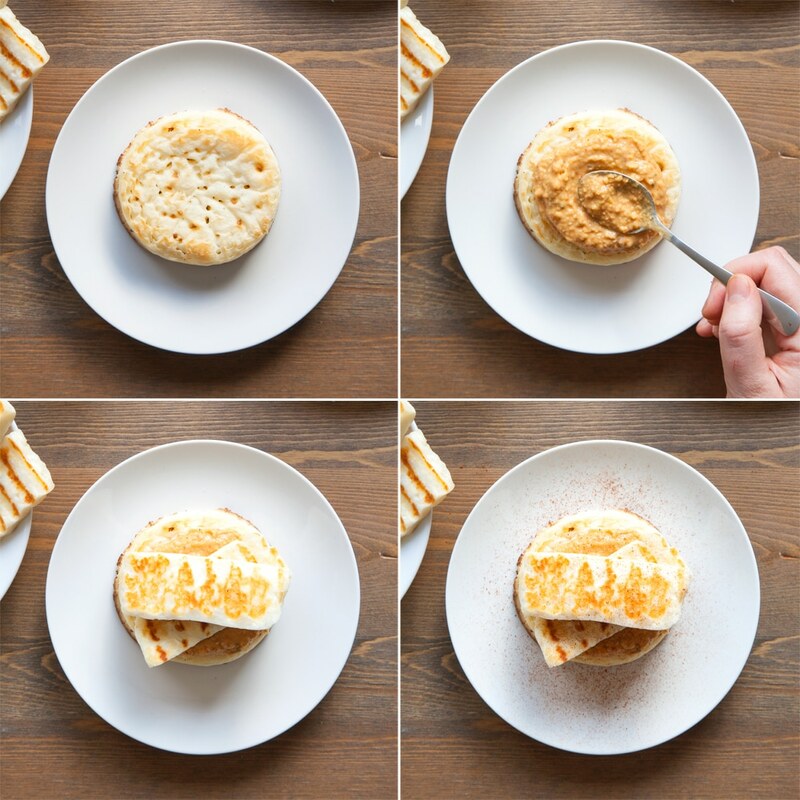 Spread a generous spoonful of the humous onto each crumpet. 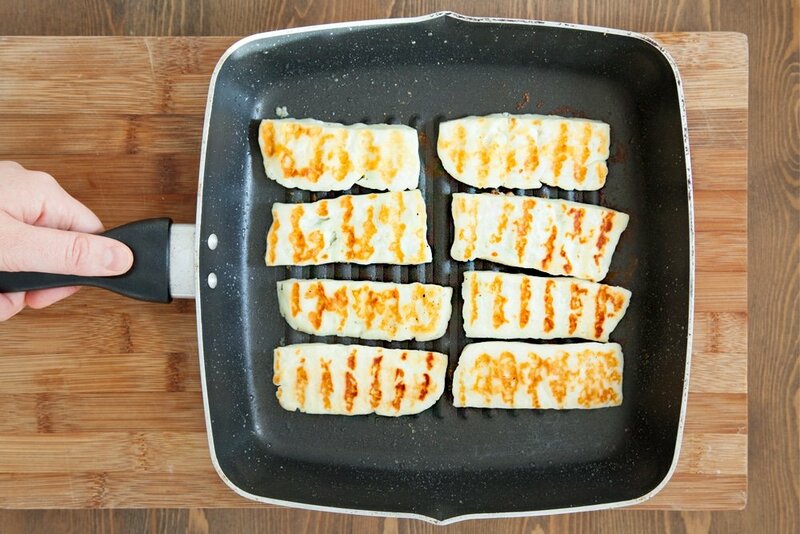 Top with two slices of griddled halloumi per crumpet, then add a sprinkle of paprika. 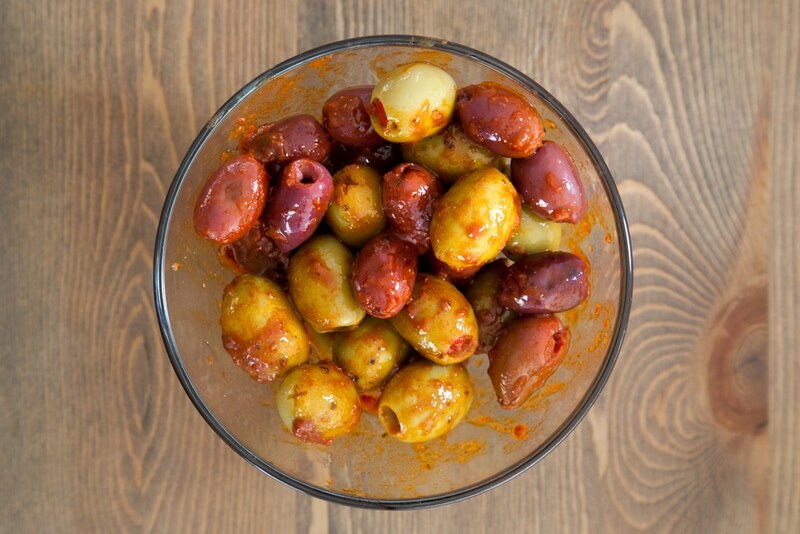 Finish with a scattering of harissa olives and a sprig of mint. Let me know if you try this recipe as a Monday pick-me-up! Are you tempted to try this fun twist on crumpets? If you’d like to print this gluten-free meze-inspired crumpets recipe, just click ‘PRINT’ on the recipe card below. 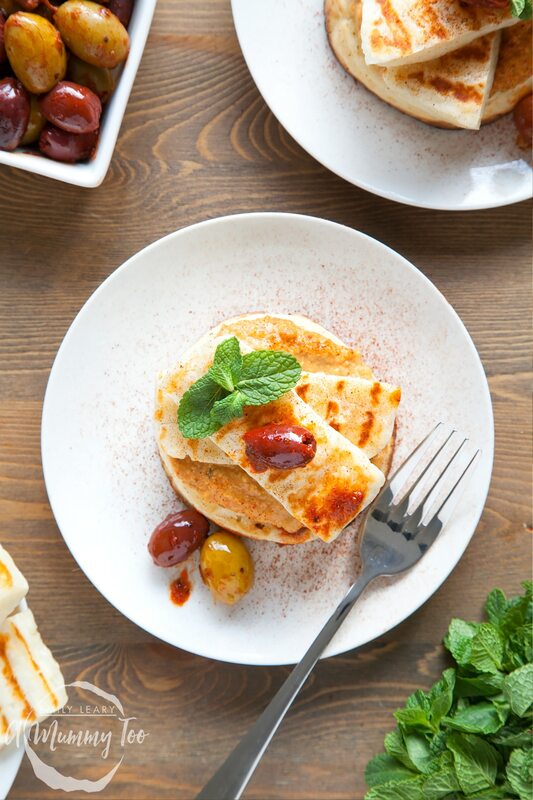 Meze-inspired, flavour-packed brunch crumpets that are high on taste yet free from gluten. 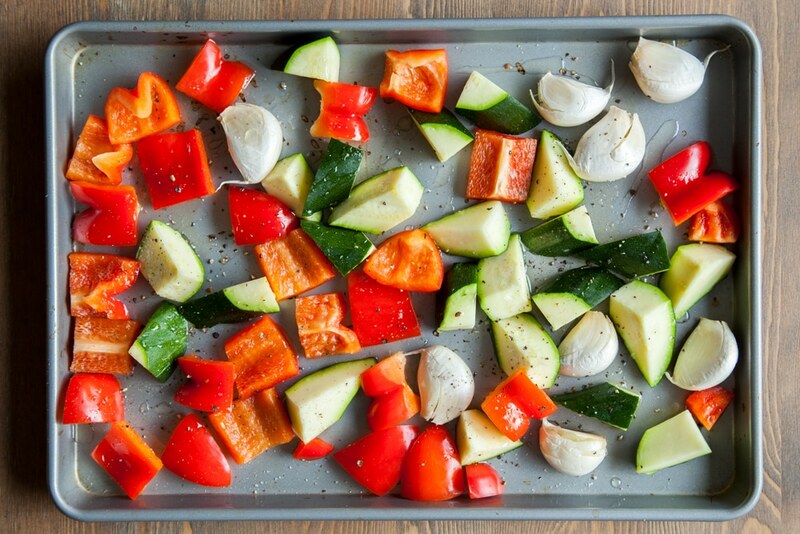 Looking for more delicious gluten-free recipes? This is a commissioned post for Newburn Bakehouse by Warburtons. I saw these crumpets in the store yesterday and was unsure about them! But now I have got to try these out! also, LOVE halloumi cheese! SO YUM! Wow these photos are mouth watering and are making me hungry just looking at them. This looks so good! I’ve been trying to cut out gluten so this is right up my alley. Wow what a delicious meze, it sounds so lovely. I would not mind having that as a meal. 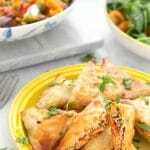 Wow what a delicious meze, it sounds so lovely. I would not mind having that ad a meal. This looks so delicious! 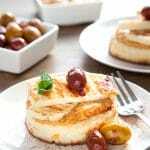 I never thought of pairing halloumi with crumpets! Oh yum! 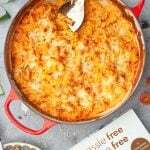 I am so amazed by the amount of GF fab recipes around now! These look absolutely delish! I love crumpets but I’m really not creative – just lots of butter and strawberry jam for me! I love the look of these mere style ones, you inspired me to get a bit more creative next time I buy some. Oh they’re scrummy with sweet toppings too – I’m going to try a sort of Eton Mess topping next, I think! Yay! Ocado have quite a bit of the Newburn Bakehouse range. There’s an Artisan Cob with Sultanas that is just amazing. Big change since my first experience of gluten free bread a few years ago! Stunning, i’d eat this for breakfast, lunch or dinner! Thank you! I must admit I thought crumpets would be one of those things you just can’t do with GF flour, so I’m really impressed with these. 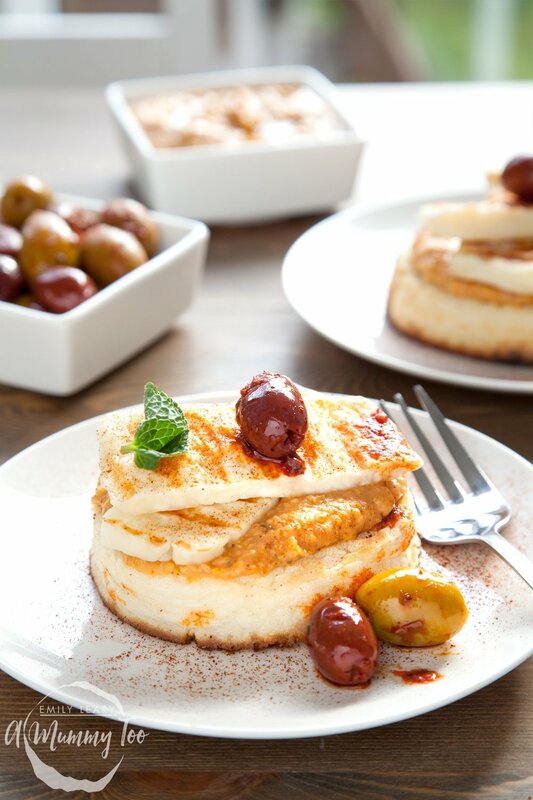 Oh yum – this looks amazing!! Oh wow, gluten free crumpets?! I need to tell my GF sister about these ASAP! Love what you did with them too, you can’t beat a crumpet dripping with butter but your version sounds amazing! Oh these look great I don’t eat gluten free but these do look good . This is amazing! I literally just made it for brunch with some GF friends and they were so impressed – so was I, I must admit. Worthy of a good restaurant was one of the comments. Absolutely delicious! Ahhh, that’s made my day! Thank you! These look sooo good! I’ve got no time to make them this weekend but definitely trying them the one after! Ooh good question Jane – I’ll ask them and come back to you. Hi – I’ve heard back an I’m afraid they’re UK only at the moment. Sorry! So sorry for the slow reply! Hope it went well. Do check out the rest of the Newburn Bakehouse range – there are some brilliant gluten free products to choose from. 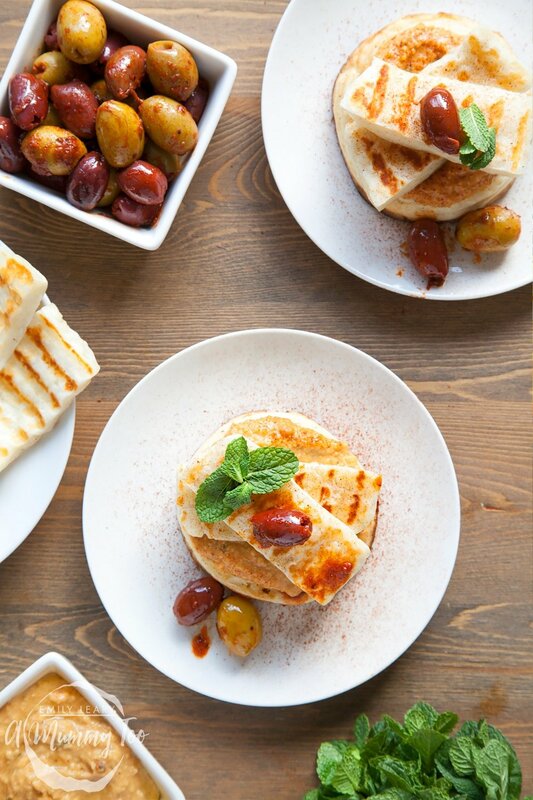 Meze for breakfeast… um yes please?! When I went to Turkey a few years ago I fell in love with the breakfasts, seeing this makes me want to go back.